It is easy to cook a turkey breast in a crockpot. Your turkey breast will come out moist and full of flavor. This is a guide about cooking a turkey breast in a slow cooker. On days when you're in a rush but still would like to come home to the welcoming aroma of a homecooked meal, you might want to try this. Put a frozen turkey breast in your slow cooker. Dump a package of onion soup mix on it. Turn the cooker on high and it will be done when you get home after work. Whip up some stuffing mix and open a can of green beans and you have a feast with little effort. (I use one of the West Bend Slow Cookers that has a base and the rectangular pot sits on top of it.) If you are hesitant about leaving it cooking while you're gone, you can always put it on the night before and it will be ready when you get up. Just be sure to refrigerate it before you leave. 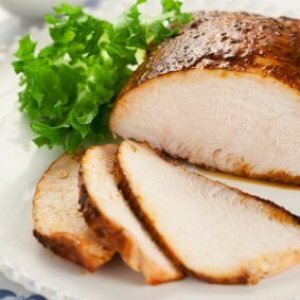 Whenever turkey breasts are on sale for 99 cents a pound, I like this recipe. Spray the inside of your crockpot with Pam and place unwrapped breast in it. Then take a can of whole berry cranberry sauce and spread over the breast. Cook on low for 6-8 hours. It is very delicious and makes great meat for sandwiches. Enjoy! Any good ideas for slow cooking a turkey breast? I just posted a recipe for slow cooked turkey breast with gravy in the recipe contest. Wash and dry turkey breast. Rub olive oil on turkey breast, season with salt, freshly cracked pepper. Place in slow cooker, add 2 small cloves garlic, 1 small onion and 1 carrot chopped roughly, 1/2 tsp. Rubbed sage, place vegetables around turkey breast, add 3/4 cup water and 1 Earl Grey tea bag. Allow to cook until tender ,approximately 3 hours. Remove turkey breast and vegetables. Make a gravy by adding 2 tablespoon butter in skillet, add 2-3 tbsp flour, whisk until smooth, add strained liquid from slow cooker, whisk until thick, test for seasoning and adjust if necessary. Pour into gravy boat and slice turkey breast and enjoy with gravy. Wash and dry turkey breast. Rub olive oil on turkey breast, season with salt, freshly cracked pepper. Place in slow cooker, add 2 small cloves garlic, 1 small onion and 1 carrot chopped roughly, 1/2 tsp. Rubbed sage, place vegetables around turkey breast, add 3/4 cup water and 1 Earl Grey tea bag. Allow to cook until tender ,approximately 3 hours. Remove turkey breast and vegetables. Make a gravy by adding 2 tablespoon butter in skillet, add 2-3 tbsp flour, whisk until smooth, add strained liquid from slow cooker, whisk until thick, test for seasoning and adjust if necessary. Pour into gravy boat and slice turkey breast and enjoy with gravy. It is best to defrost any meat before cooking it in a crockpot. This is a guide about cooking frozen turkey in a crockpot. This worked very well this year. We have family over and serve buffet style. Cook a whole turkey breast in a slow cooker ahead of time. 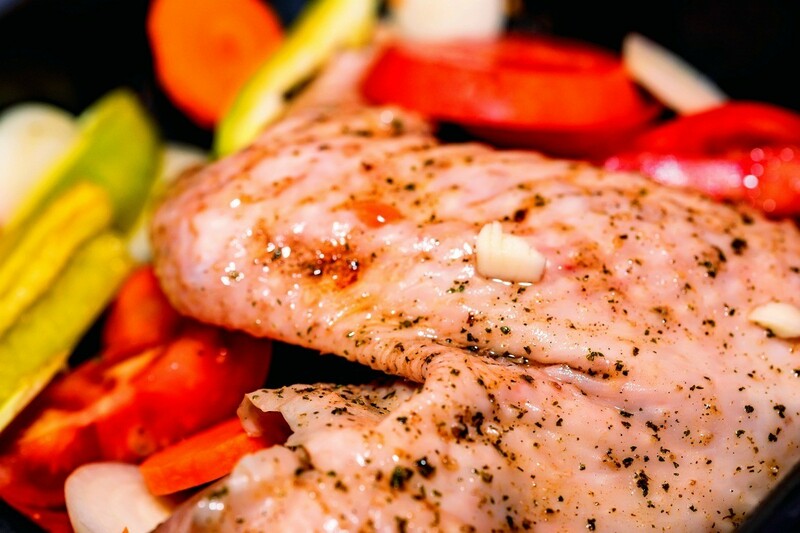 In a separate slow cooker do thighs for your dark meat. Slice after it has rested. Keep warm in the oven until dinner time, arrange slices on a serving platter and serve. Not as much waste with bones as a whole turkey. No last minute rush when everything else is cooked and ready to dish up.